I think it's safe to say that with the Chicago Cubs in the World Series for the first time in the lifetimes of everyone here at iPenstore, we're a bit distracted. So, I'm leading off this week's newsletter with a bit of Cubs (and iPenstore.com) history. 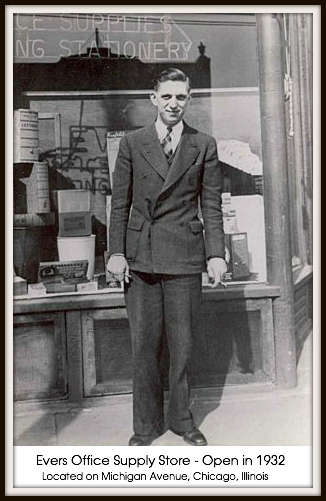 Our first store opened in 1932 and was located on Michigan Avenue in Chicago, Illinois. Since we originally hail from Chicago, our roots run deep there, and so does our love for the Chicago Cubs. In 1908, when the Chicago Cubs won their last World Series, the infield double play combination of shortstop Joe Tinker, 2nd Baseman Johnny Evers and First Baseman Frank Chance dominated baseball at that time. In 1910, New York columnist Franklin Pierce wrote a poem lamenting the fact that the Cubs were consistently defeating his team, the New York Giants. Shown above is a framed poem from an early Chicago Tribune magazine, and a baseball card of Johnny Evers sitting above my desk in my home office. In 1946, Tinker, Evers and Chance were all inducted into baseball's Hall of Fame. My grandfather was a huge Chicago Cubs baseball fan. He designed his company business cards around the Tinker to Evers to Chance theme. I remember billboards around the city of Chicago with his "Don't Tinker, Call Evers, You take no Chance" theme to advertise his office supply business and typewriter repair services. For over 75 years and spanning over four generations, our family has been in the office products industry. Before we were iPenstore, we were Evers Office Supply.